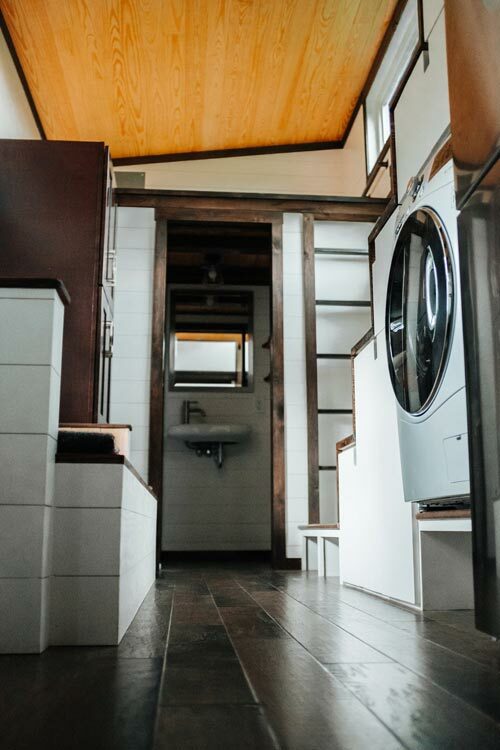 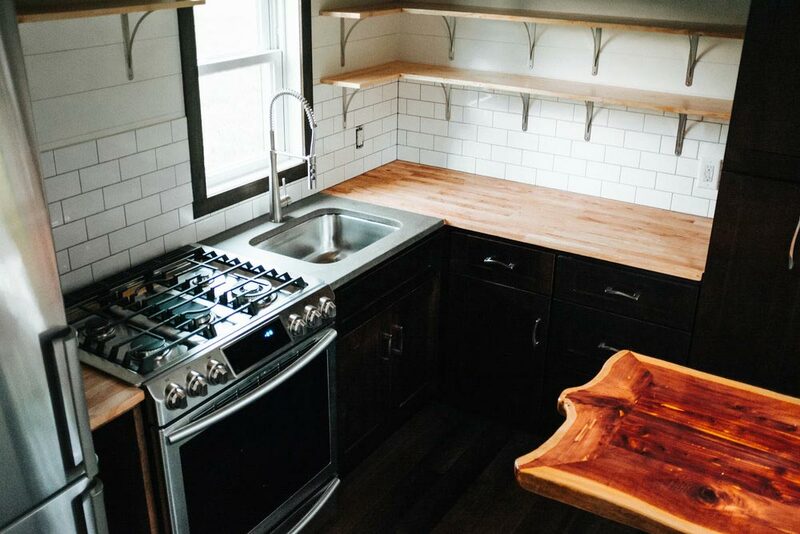 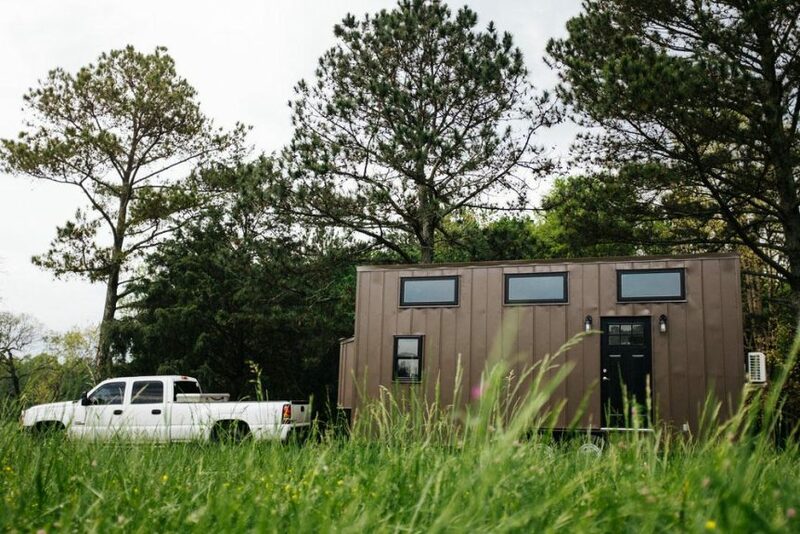 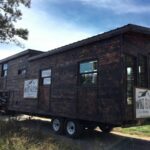 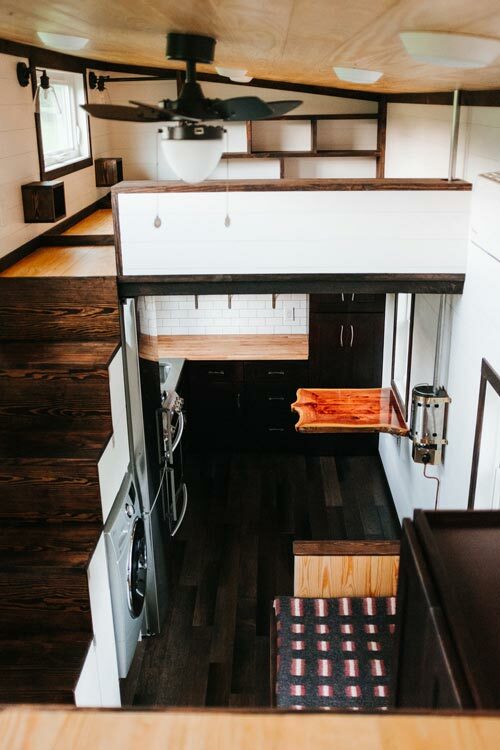 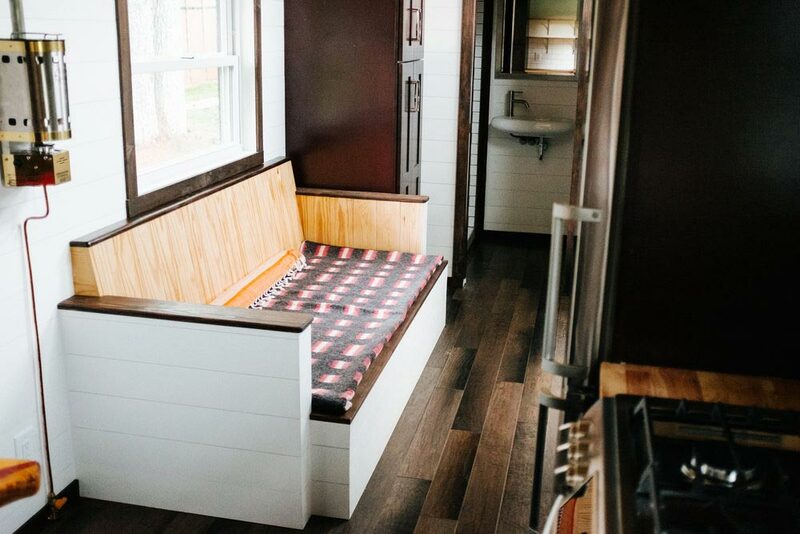 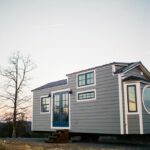 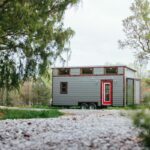 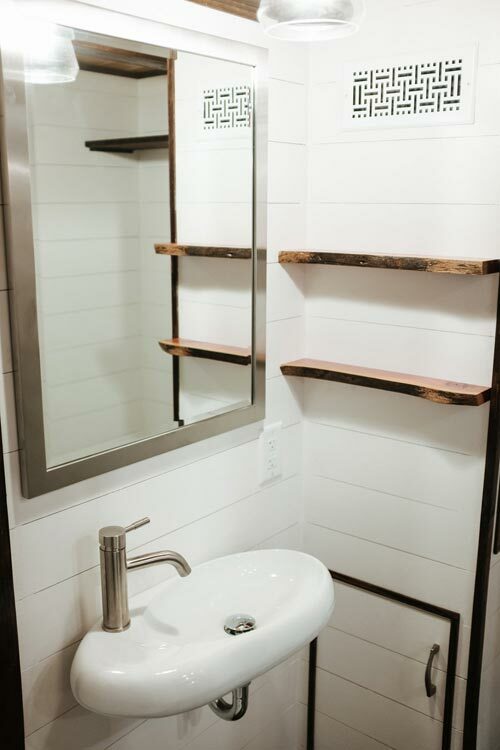 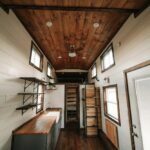 From Wind River Tiny Homes is this industrial, modern style tiny house dubbed The Ironclad. 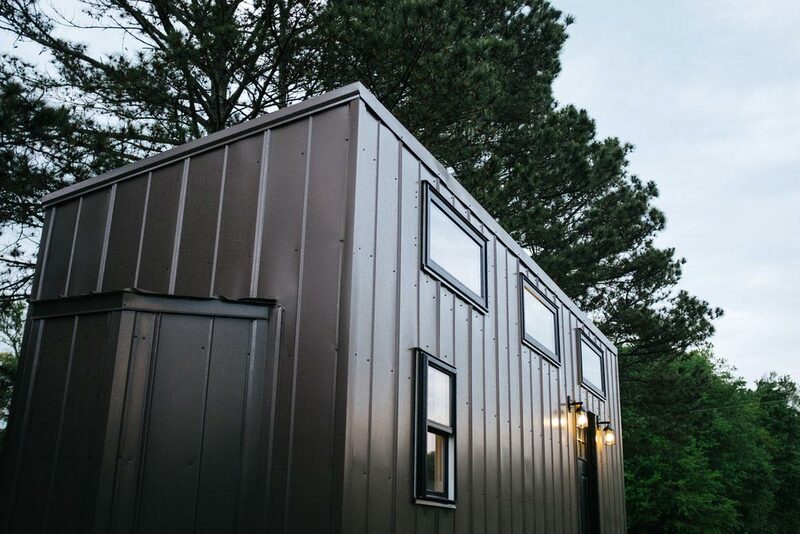 With its sleek bronze metal siding and roofing, the 24′ tiny house is durable and low maintenance. 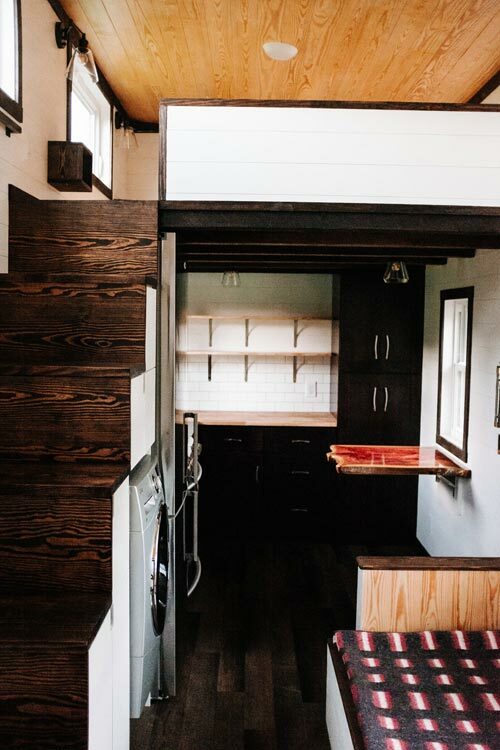 The Ironclad’s modern interior features industrial and rustic accents. 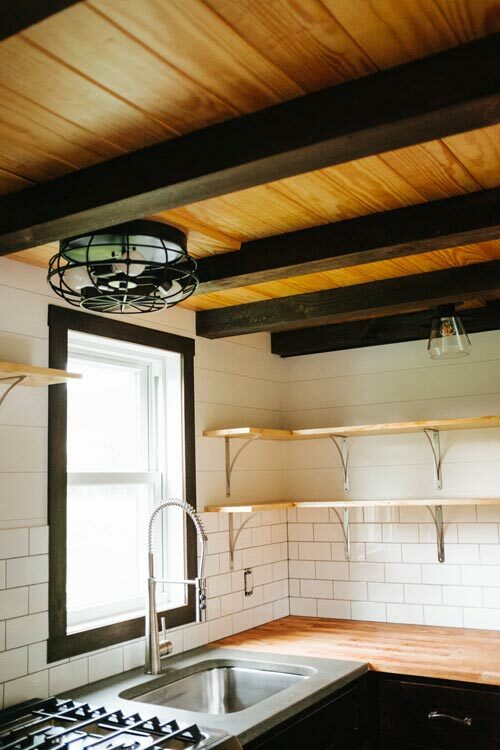 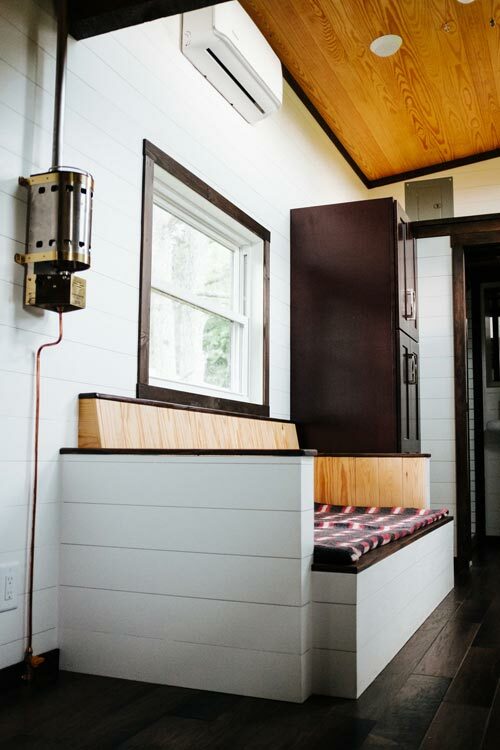 White shiplap walls and natural pine ceiling contrast with the dark trim, hardware, and floors. 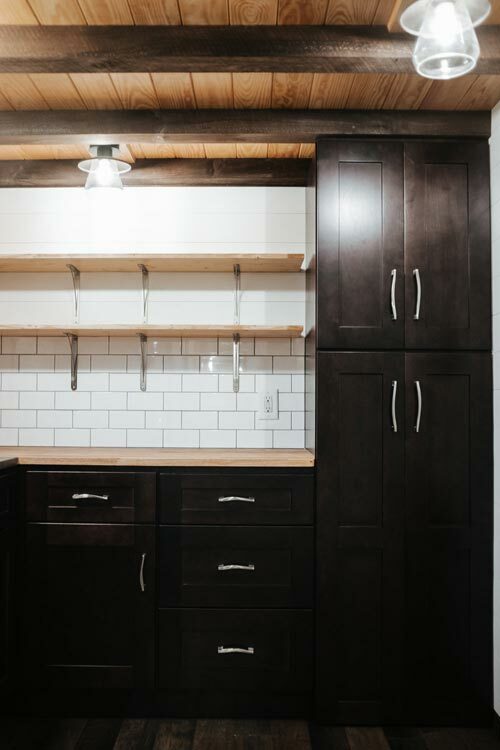 In the kitchen are dark shaker cabinets, a white subway tile backsplash, open shelving, a concrete counter around the sink, and butcher block counters. 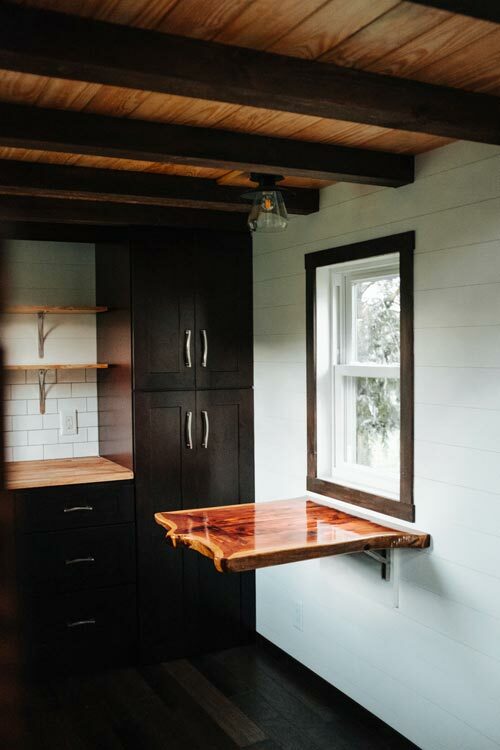 A cedar live edge table adds rich color to the kitchen. 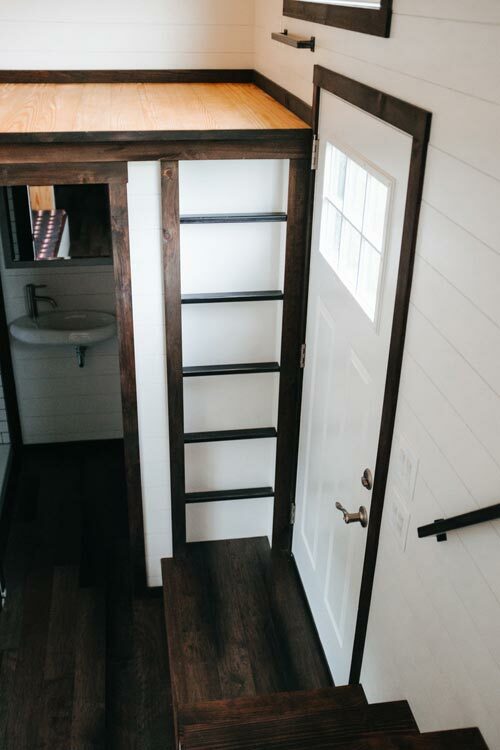 The bedroom loft is accessed by custom storage stairs and the storage loft is accessed by a built-in steel ladder. 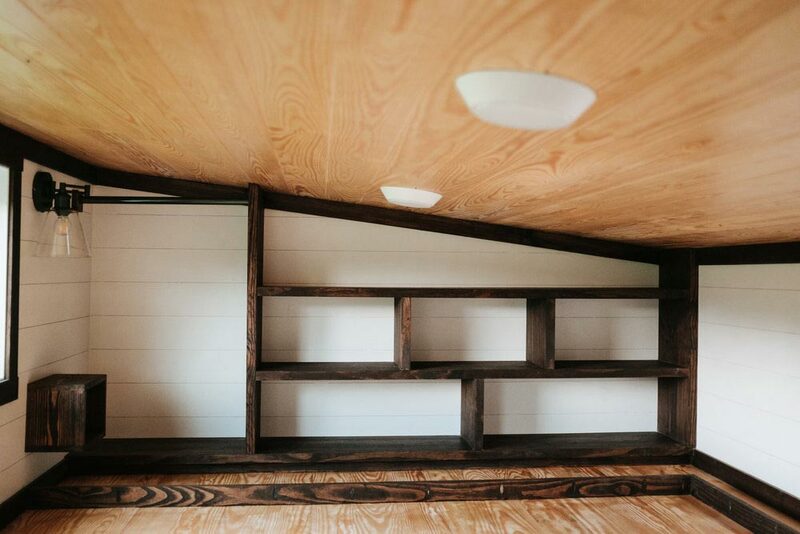 A built-in couch provides extra storage underneath. 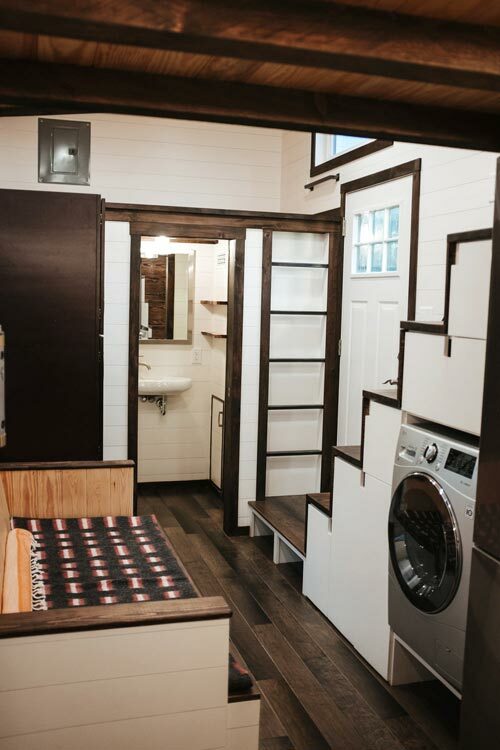 The cost of the Ironclad as pictured is around $69,000. 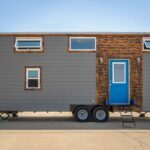 You can contact Wind River Tiny Homes for more details. 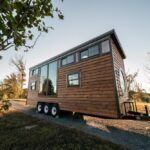 Also available from Wind River Tiny Homes: Noah, Silhouette, Big Whimsy, Monocle, Phoenix, Nomad’s Nest, Wind River Bungalow, Triton, Mayflower, Rook, Chimera.